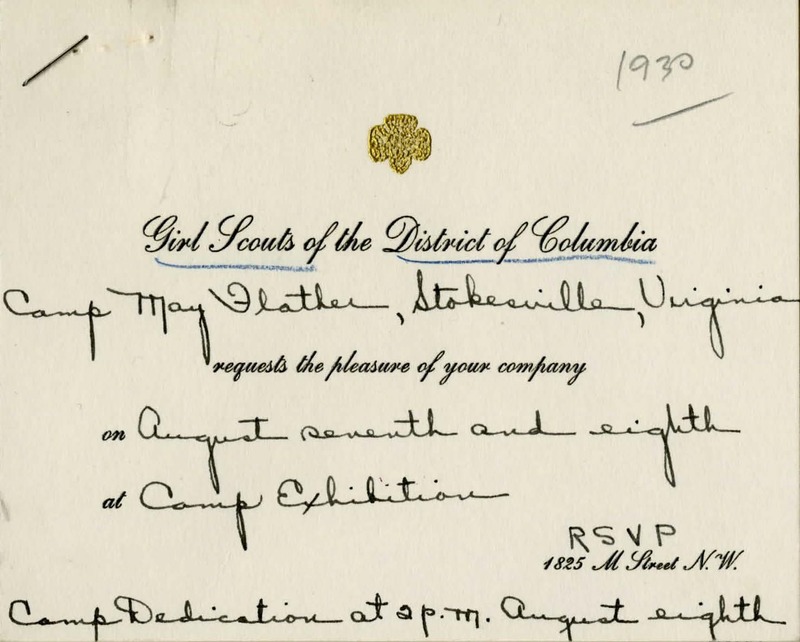 What did it take to earn a Golden Eaglet, Girl Scouting’s highest honor from 1918 to 1939? Earn the Medal of Merit (1922-1926) or a Letter of Commendation (1926-1931). These awards were meant to attest to a girl’s attitude and character, highly subjective requirements indeed. Unlike today’s Gold Award, there was no time-defined project to conduct. Although more than 10,000 girls were awarded the Golden Eaglet, quite a few were turned down. That led to complaints about the rather fuzzy requirements. How could strangers in New York City fairly evaluate the character of girls in California or anywhere in between? 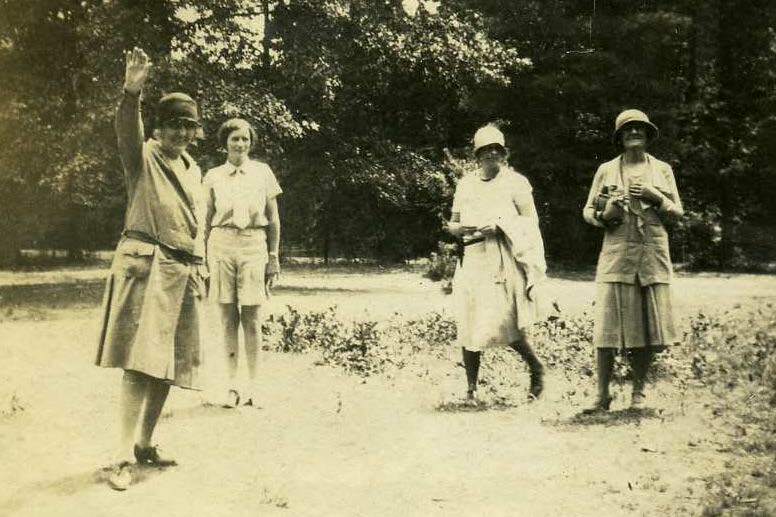 Earlier today, I wrote about First Lady Lou Henry Hoover’s visit to Camp May Flather, August 7-8, 1930. 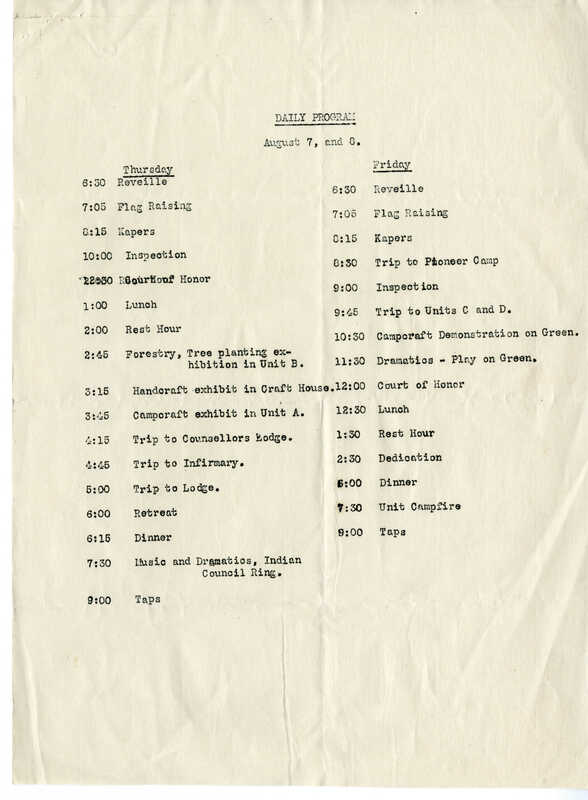 As a special treat, here are the memories of Marguerite Hall, an original staff member at Camp May Flather, tasked with baking a cake for Mrs. Hoover’s visit. Her math is a little off at the beginning, but keep watching and enjoy! May Flather may have been the driving force in establishing Camp May Flather, but she had influential friends who helped as well. 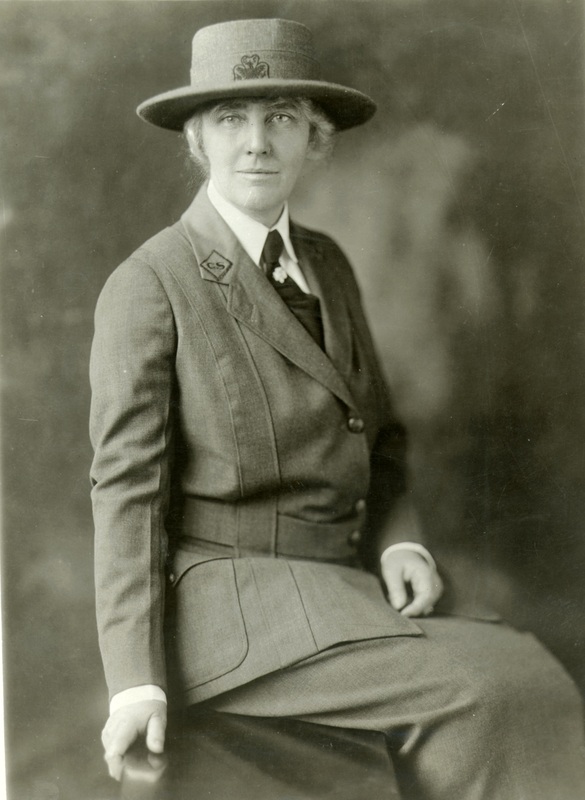 First among these was First Lady Lou Henry Hoover. 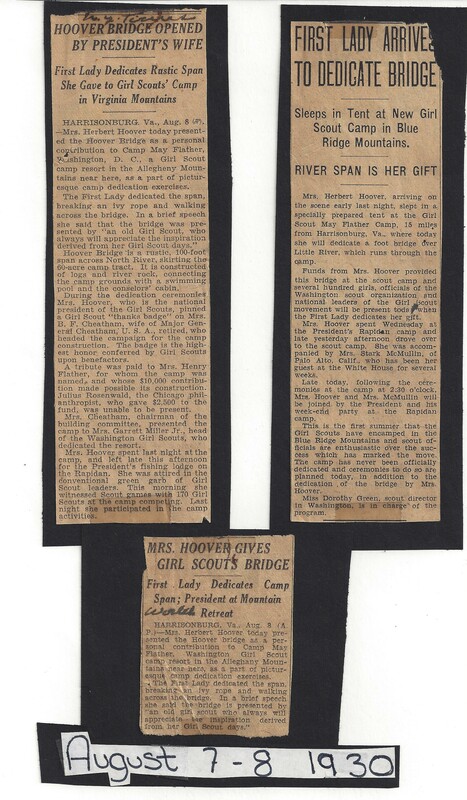 Mrs. Hoover was a huge supporter of Girl Scouting. Not only was she honorary national president from 1929 to 1933, she also was the elected national president twice, 1922-1925 and 1935-1937. President and Mrs. Hoover were neighbors of Camp May Flather, with Camp Rapidan, their private retreat, located nearby. 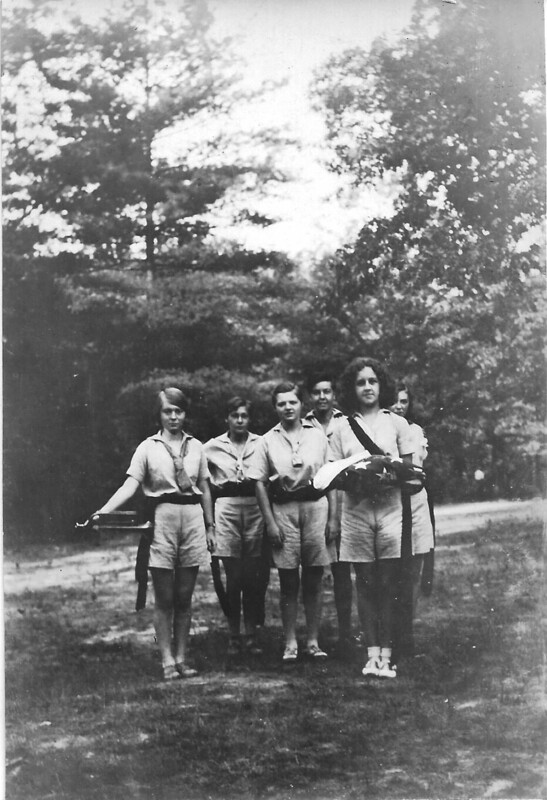 When they sold Camp Rapidan in the 1940s, Mrs. Hoover donated much of the furnishings to Rockwood, the national camp outside Washington, DC. To the great delight of campers, volunteers, and staff, Mrs. Hoover agreed to come to camp to formally dedicate the bridge. She arrived on August 7, 1930, and spent the night in a tent. Finally, the dedication begins. Mrs. Hoover cut a rope of laurel branches and marched across the new bridge. Many Washington Girl Scout officials attended the event. May Cheatham, second from left, was married to US Army Quartermaster Major General B.F. Cheatham, who supervised construction of the camp. 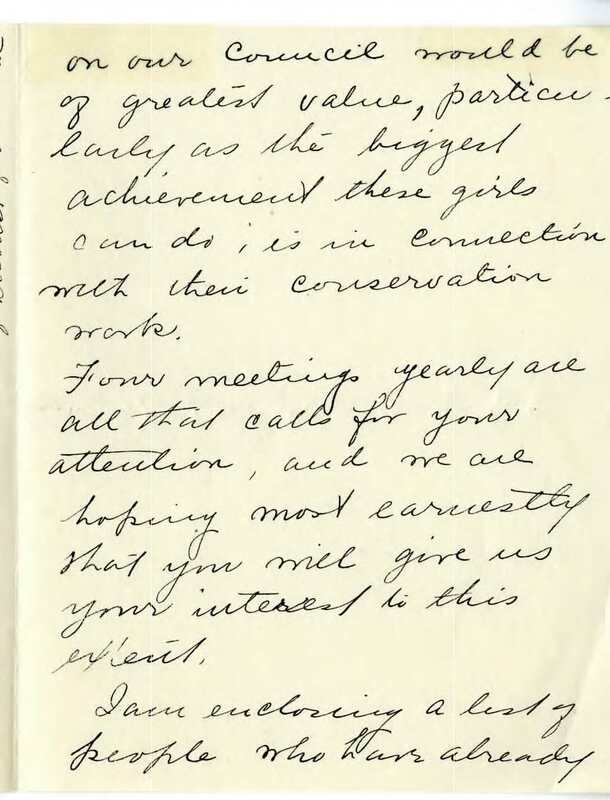 Ever the gracious host, Mrs. Flather promptly wrote Mrs. Hoover to thank her for the visit. 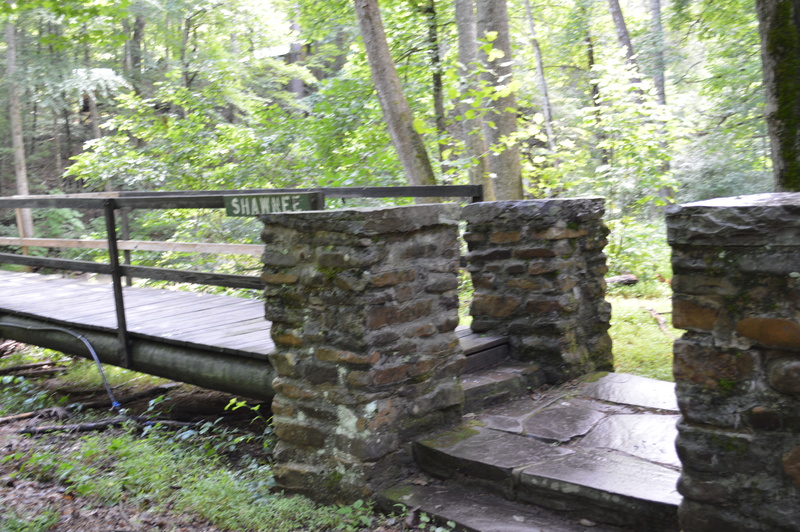 After 85 years, the “Shawnee Bridge” still stands at Camp May Flather. 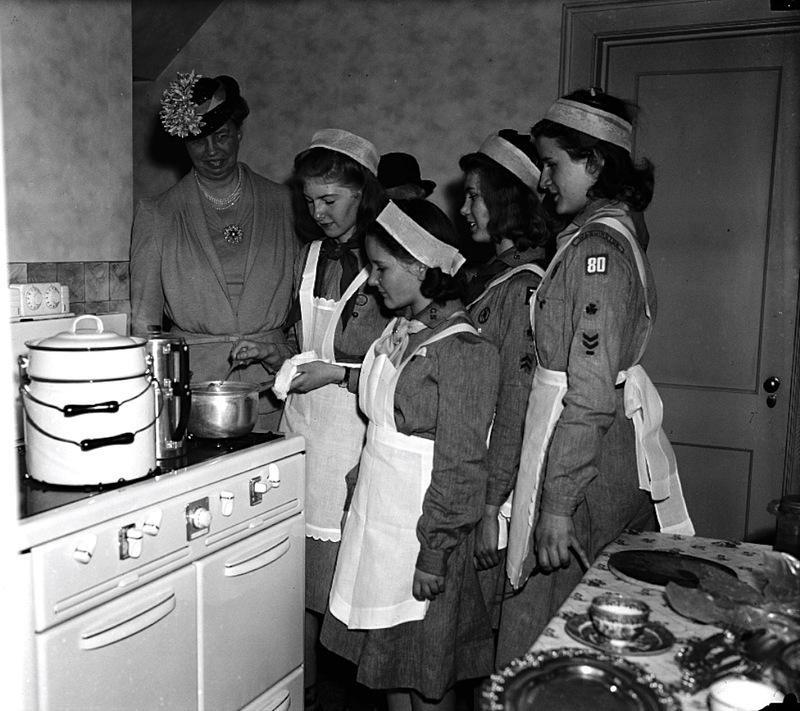 For almost as long as there have been Girl Scouts, there have been Girl Scout stories. Stop by the GSCNC office this summer to see an exhibit of Girl Scout fiction books. 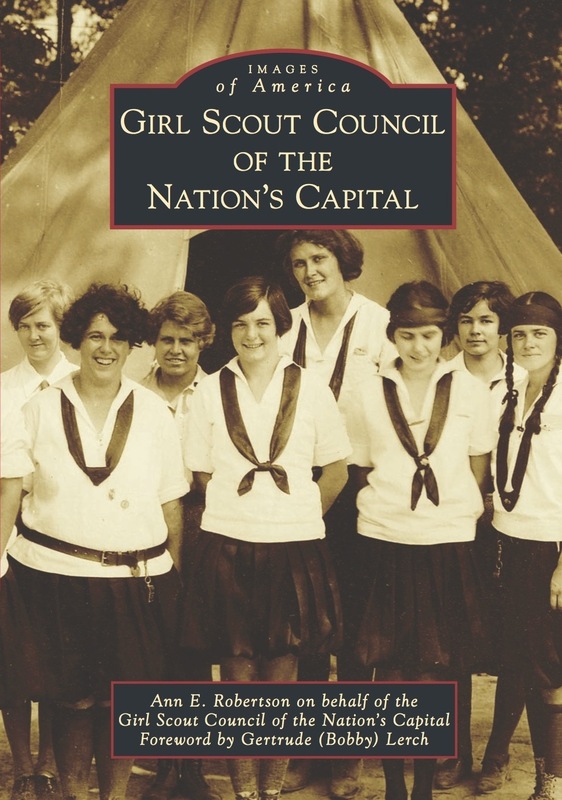 The Council’s Archives and History Committee has books ranging from The Girl Scouts at Bellaire, published in 1920, to the Giggling Ghost Girl Scout Mystery from 2012. 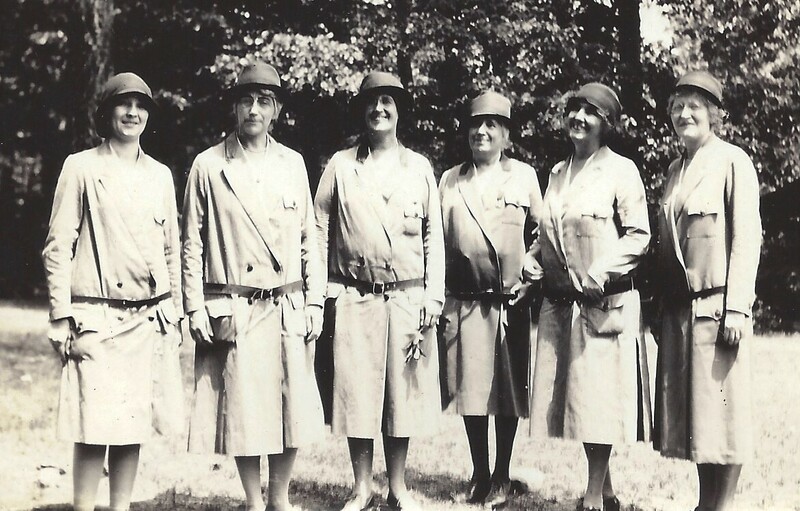 In the 1920s and 1930s, when the Nancy Drew, Bobbsey Twins, and other juvenile mystery series became popular, the Girl Scouts followed with their own versions. Edith Lavell published a 10-volume series in the 1920s that followed Girl Scout Marjorie Wilkinson through her college years. In the 1930s, Virginia Fairfax penned the six-volume mystery series about a group of Mississippi Girl Scouts. 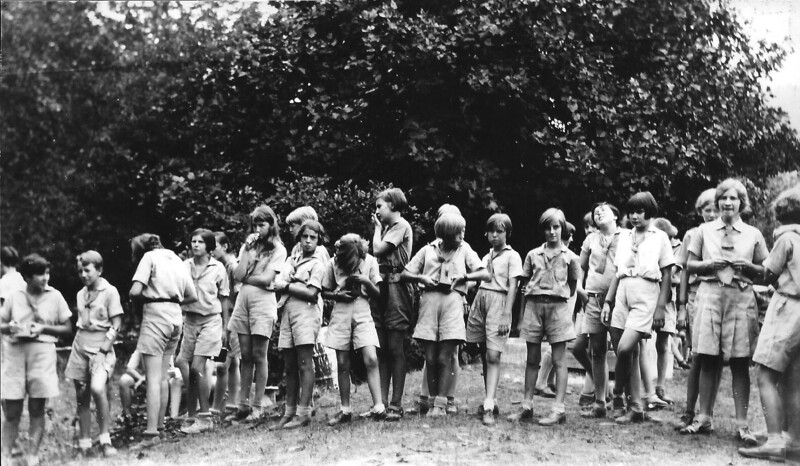 Brownies soon insisted on their own stories, which led to the Brownie Scouts series by Mildred A. Wirt in the early 1950s. Millie Wirt added three more Girl Scout titles in the 1950s as well. But Mildred Augustine Wirt Benson was most famous for the books she wrote under the pseudonym Carolyn Keene. Mildred Wirt Benson, the original Carolyn Keene. She wrote 23 of the original Nancy Drew books, including the first seven, and is largely thought to be responsible for developing the Nancy character. Her editor criticized the first draft of The Secret of the Old Clock, saying that the heroine was “too flip,” but sent the manuscript to the publisher anyway, launching an industry that remains popular decades later. (For more on the many lives of Carolyn Keene, see the new book The History of Nancy Drew, by Christine Keleny.) 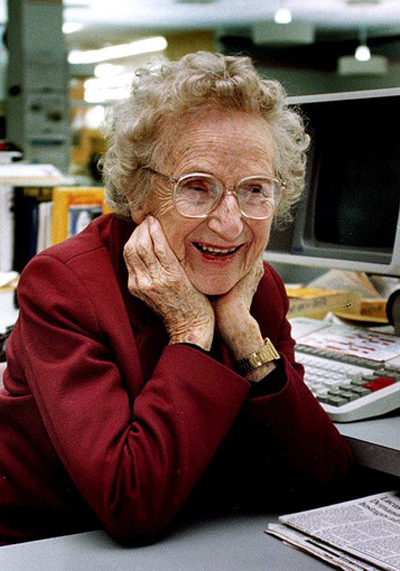 By the time of her death in 2002, at age 96, Benson had written more than 130 books. Other book series have been issued over the years, including the three-volume Nancy series by Jean Henry Large, younger sister of Lou Henry Hoover, collections of articles from American Girl magazine, and the more recent Here Come the Brownies series. Girl Scouts has long promoted reading and the love of books. Badges related to reading have been around since the 1920s and national patch programs, many in cooperation with the QSP magazine program, have also encouraged reading skills. Over the years, Girl Scouts have also had opportunities to learn about how books are made, including the Intermediate-level Bibliophile badge available from 1938 to 1963. More recently, Cadettes can try the new Book Artist badge. 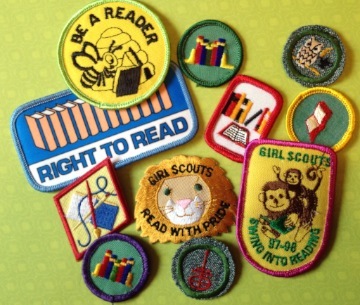 Girls have always been able to earn badges and patches for reading. Next time you are at the Council main office of Girl Scout Shop, take time to stop by the history display cases and don’t forget to pick up a copy of the council history book. That one is not fiction! 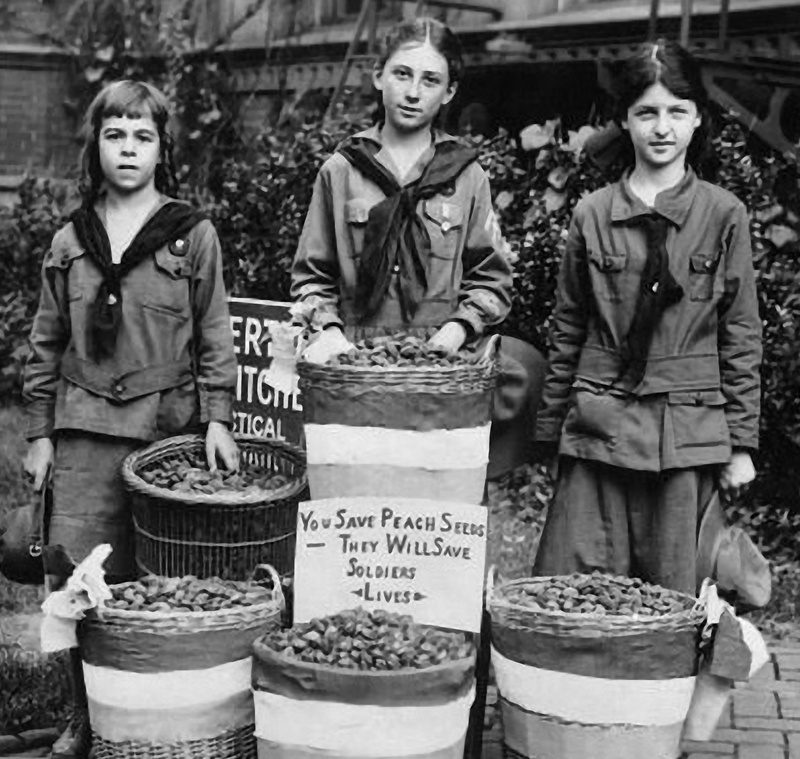 One hundred years ago, the onset of World War I provided many opportunities for the new Girl Scout movement. 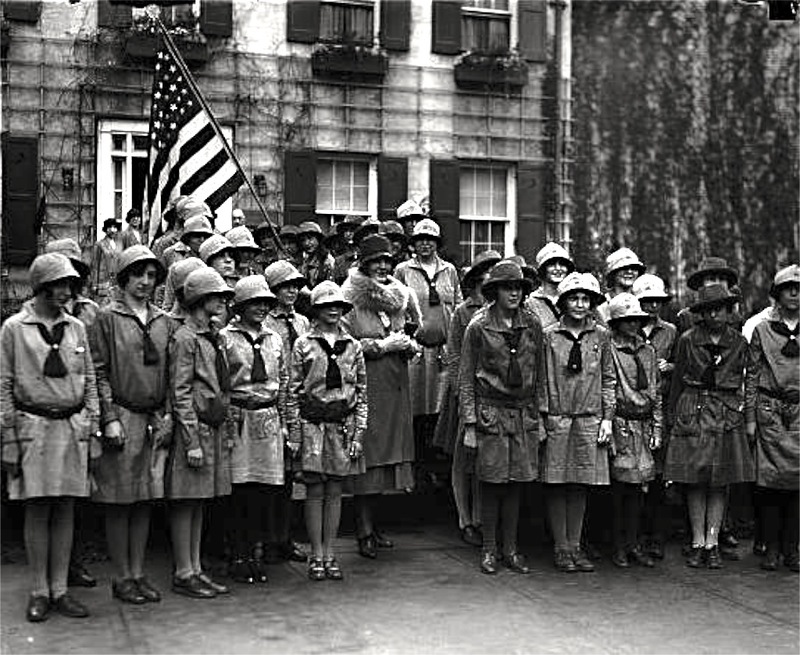 After the United States entered the war in 1917, Girl Scouts stepped up their efforts. 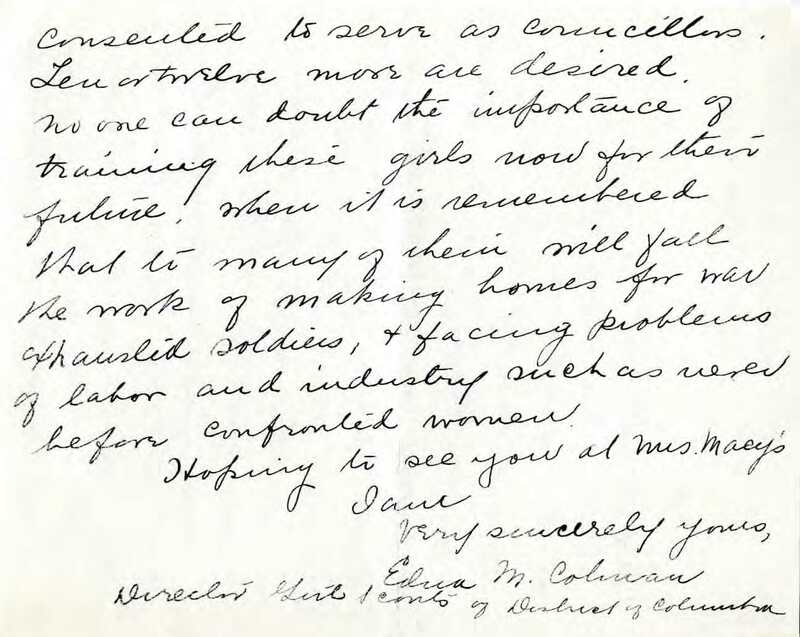 Girls joined Lou Henry Hoover to distribute sandwiches to soldiers passing through town, raised homing pigeons destined for the front lines, and made bandages for the Red Cross. The magazine article explained that “200 peach pits or seven pounds of nut shells produced enough carbon for one filter for a solider’s gas mask” (GS Collector’s Guide, p. 87). With the German military deploying highly toxic chlorine gas against the Allied troops, the Red Cross and other organizations launched peach pit collection drives across the country, according to The Atlantic magazine. Yesterday the oldest synagogue in Washington, DC, was seen rolling through the streets of the Nation’s Capital. This wasn’t cheap entertainment provided during the federal government furlough–well, actually it WAS free and entertaining. The journey was a major step in the development of a new Capital Jewish Museum. A decent-sized crowd gathered to watch the wheeled building migrate down 3rd Street NW. In fact, this was the third relocation for the peripatetic synagogue. This latest motorized procession reminds me of a similar excursion made by the Girl Scout Little House in 1924. But that move was accomplished with actual horsepower, not heavy equipment. The clock began ticking on the fate of the model home. The exhibit permit expired on June 15. Hoover offered several new arguments to try and sway the reluctant board members. 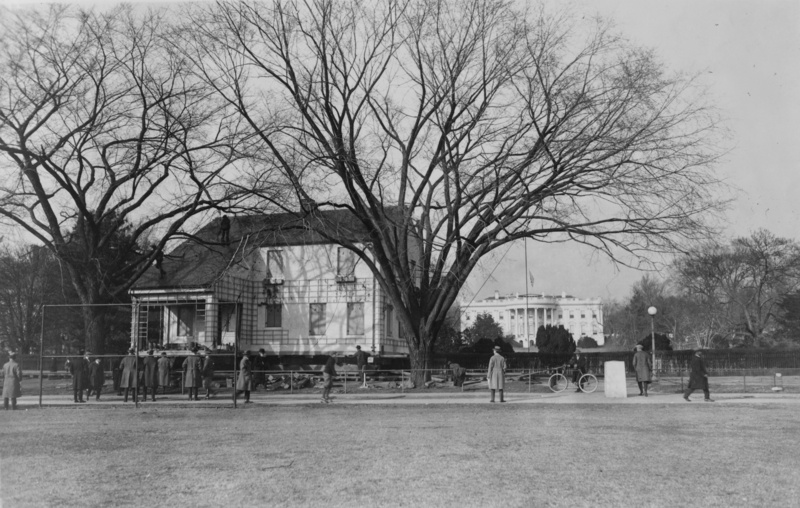 First, the house had historical significance as it was the last building dedicated by President Warren G. Harding before his sudden death on August 2. Considering the opposition we have had to meet in many quarters, particularly with the Camp Fire Girls and the Boy Scouts on this very matter of our home making propensities,—or the lack of them,—I feel that we must accept this, our justification, if possible. Third, some costs could be mitigated by renting out a room or two to the local council for its offices. Meanwhile, the Parks Service was continually pleading for someone to get the house off of government property. Much to the relief of Colonel Sherrill, the Little House arrived at its new home in March 1924—nine months after the original exhibition. First Lady Grace Coolidge helped re-dedicate the building in a ceremony on March 25, as a beaming Mrs. Hoover watched. 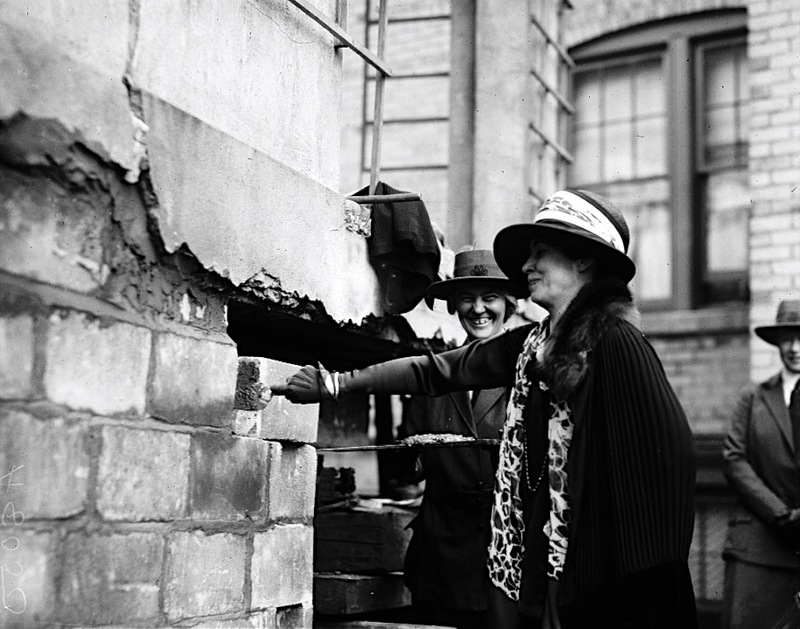 Dressed in a broad-brimmed hat, long dress, fox-trimmed cloak, and dark leather gloves, Mrs. Coolidge gamely picked up a mason’s trowel and slathered on a layer of cement to seal the cornerstone placed under the breakfast nook. Inside the stone was a handbook, several other Girl Scout publications, and that day’s newspaper. Moving the Little House from its exhibition site to 1750 New York Avenue, NW, across from the Octagon House. 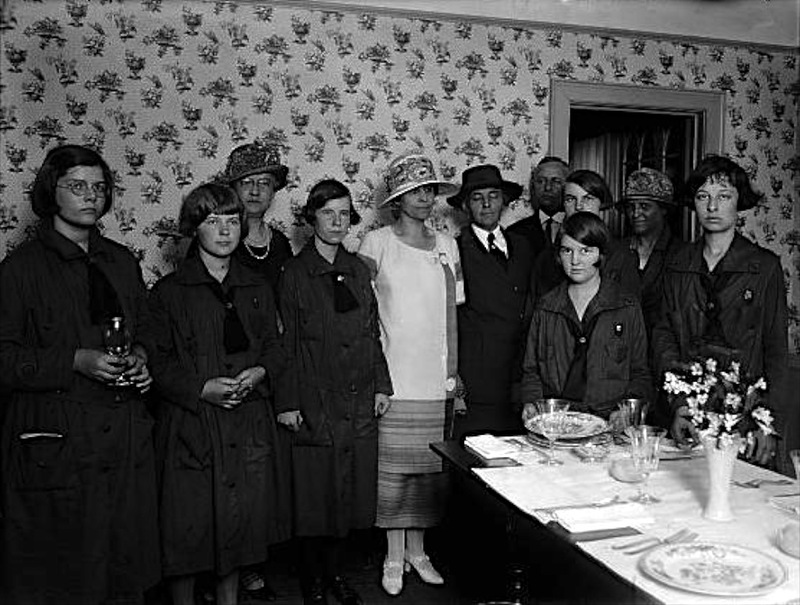 These girls look a bit tired after preparing a luncheon for First Lady Grace Coolidge (in white). 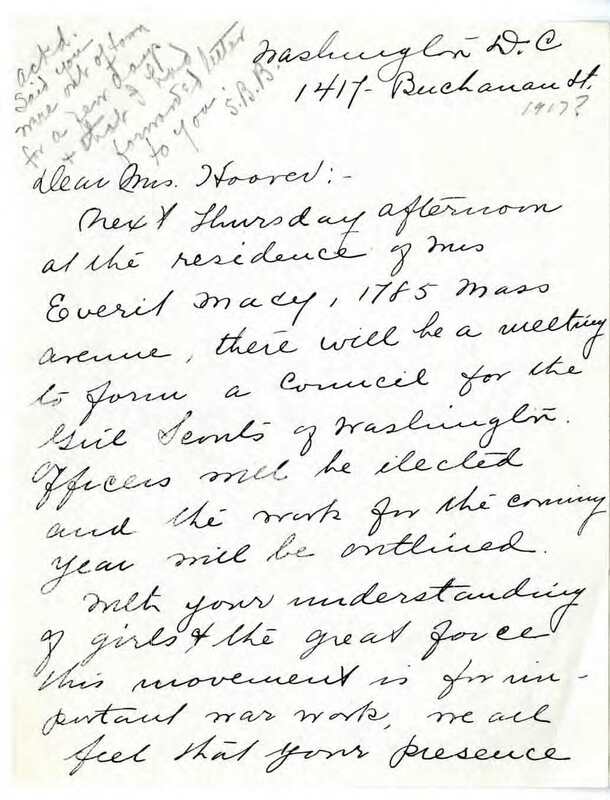 The Girl Scouts of the District of Columbia rented a room in the northwest corner of the second floor as its headquarters until it outgrew the facility in 1928. The Little House was used continuously for trainings and demonstrations of the domestic arts from June 1923 to April 1945. The building was used as a branch of Girl Scouts of the USA, the national organization, for the next decade then given to the landowners in May 1955. The Little House was torn down in the early 1970s. There is a commemorative plaque in the lobby of the office building that currently sits at the site.